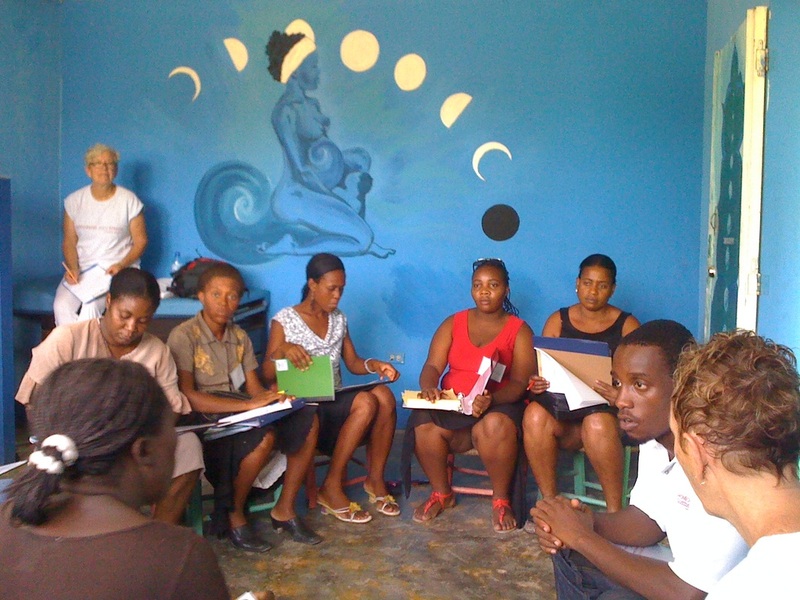 In 2010, during a visit to the southeast coast of Haiti, HWB practitioners and educators were approached by a group of trained birth attendants (pictured above). They were interested in achieving healthier outcomes for the mothers and infants they cared for. By 2013, HWB had developed the Homeopathy for Birth Attendants curriculum. This program provides midwives and birth attendants who already attend births with theoretical and clinical training. Course participants learn homeopathic therapeutics for pregnancy, labor and delivery and the postpartum period for mother and infant along with principles, methodologies and procedures of homeopathic care. Protocols are provided to include treatment for common conditions during the prenatal, antenatal, and postpartum periods, as well as emergency conditions. The first class of Homeopathy for Birth Attendants graduated in June 2014. 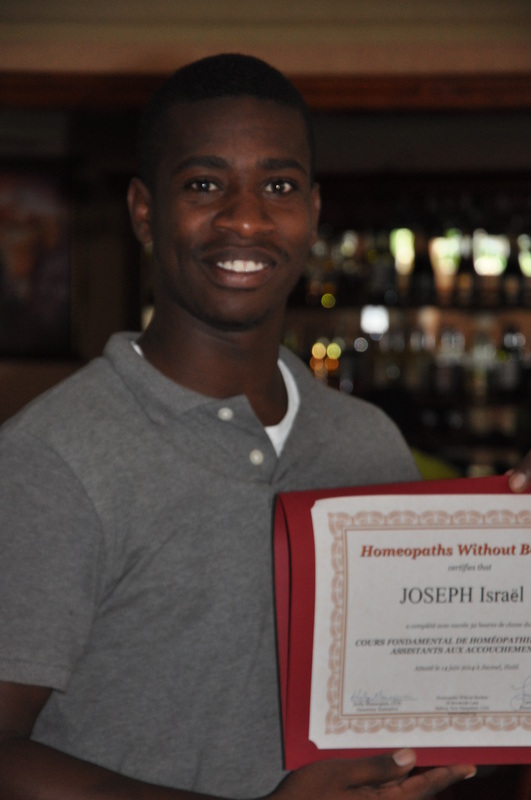 In March 2014, three American homeopaths traveled by microbus over steep mountain passes to the much smaller coastal city of Jacmel to participate in the second of three homeopathic training sessions for birth attendants (matrons & patrons), each of which lasts three days (1 training day and 2 clinic days for pregnant mamas and babies). Lauren Fox, FNP-BC, CCH organized this comprehensive training, and PG Legerme was the Haitian teacher of what HWB hopes is the first in a series of Haiti wide trainings to address the enormous maternal/child health consequences of 67% of rural Haitian women giving birth with no support. Lauren is a thirty+ year veteran nurse midwife / nurse practitioner and homeopath from MA., and HWB is blessed with her dedication to the work in Haiti. The training and clinic were well received by the matrons and patrons who attended, despite the tete chaje (problems beyond problems) that occur daily in a country virtually without infrastructure. Learn more.